The Samsung Galaxy Tab is the best Android tablet, especially Tab S3 which has a HDR-ready screen, four powerful speakers and an upgraded S Pen. And you can take full advantage of the quad speakers on the Tab S3 which reach a more powerful volume than many other tablets. Spotify is one of the best music streaming services already on Samsung Android phones o tablets, even iOS devices. More effective and easy ways are available to help you transfer or sync Spotify music or playlists you saved to multiple devices. Today you can try another useful way to export or sync Spotify playlists to Samsung Tab series without needing Premium. If you are Premium users, you can use the same Spotify account to sync the music or playlits you have already downloaded. But it will disappear after the unsubscription and if you are fee user, there is no way to download music from Spotify, let alone the synchronization between devices. Fortunately, Sidify Music Converter for Spotify is the savor for those who want download and export Spotify playlists to Samsung Tab series without Premium. It is designed for downloading or converting Spotify music or playlists to unprotected MP3, AAC, FLAC or WAV without original qudio quality loss, thus you can easily export the Spotify playlists to Samsung Tab. 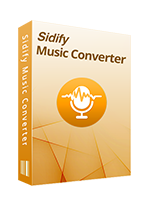 Step 1: Launch Sidify Music Converter for Spotify. 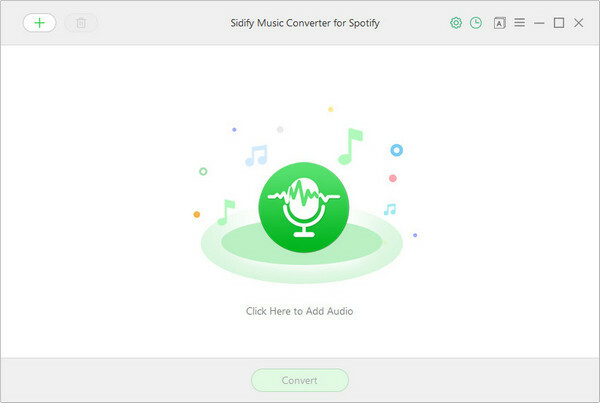 Launch Sidify Music Converter for Spotify after the installation, Spotify music app will be launched automatically. You can search for the music or playlists you want to convert on Spotify, then right-click to copy the music or playlist URL. Step 2: Add Spotify Music or Playlists to Sidify Music Converter. Click icon or "Click Here to Add Audio" on Sidify Music Converter main interface, then a add window will pop up to let you paste the music or playlist URL. After the program finishing the analyzing, you can click OK to finish adding audios. 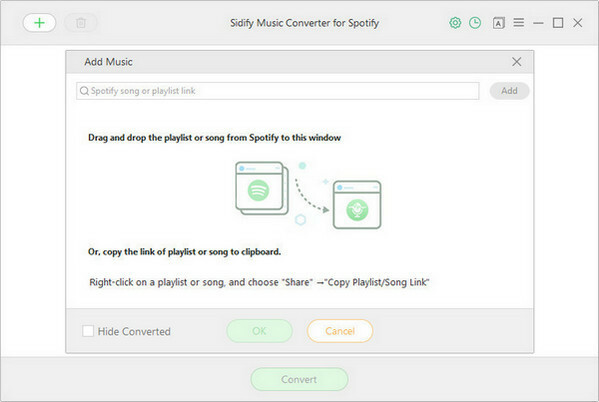 Or you can drag or drop music or playlist from Spotify to Sidify Music Converter directly. Step 3: Customize the Output Parameters. You can click button on the top right corner to change the output settings including output format (MP3, AAC, FLAC and WAV), output path and output quality. Tips: Sidify program supports saving the output audio into Artist, Album, Artist/Album or Album/Artist folder for meeting various users needs. Step 3: Start Downloading Spotify Music. 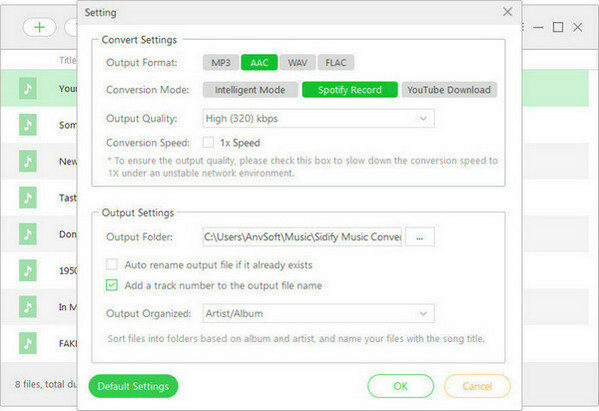 After choosing the output parameters you prefer, you can click "Convert" button to start converting the Spotify music or playlists to the audio format you chosen. When the conversion process competed, you can click button to find the downloaded Spotify music to playlists on the local file folder. Now, you can connect Samsung tablet to computer via USB cable, then trasfer the music or playlists with Sidify Music Converter for Spotify from local file folder to Samsung tablet. Or you can use Syncios Android Manager to assist you to export the Spotify music to Samsung. 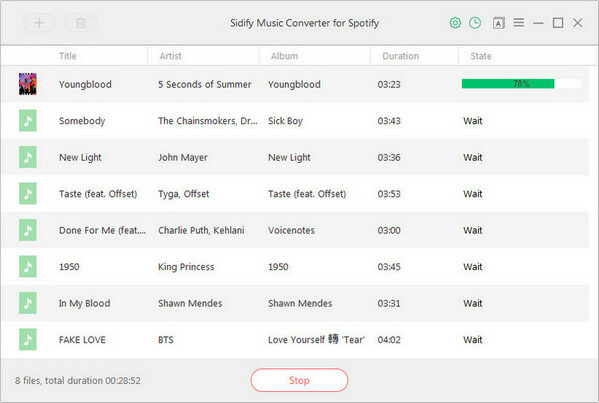 Note: The trial version of Sidify Music Converter for Spotify enable us to convert the first 3-minute audio from Spotify for sample testing, you can purchase the full version to unlock the time limitation.